Turf Management Journal is a lifeline for anybody with turf to manage. Golf courses, lawn bowls, schools, sports stadiums, local body parks, rugby pitches and all manner of green spaces are backed by its valuable content. It’s a publication aimed at guiding and educating rather than selling, with a strong scientific focus. It’s also the go-to guide for treating turf troubles and staying up with the play on sustainable practice. Given the serious nature of the articles, it’s a challenge to design the journal in a way that remains readable and inviting – but one ICG’s design team were more than up for. 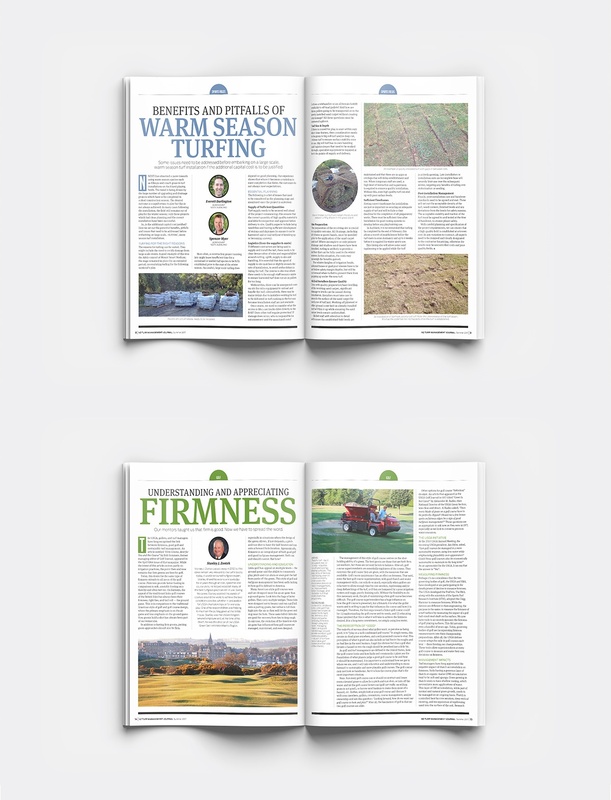 NZ is a world leader in sports turf management, and the journal is distributed across a wide geographic area including Singapore, the UK, Australia and America. We’ve been designing, printing and distributing the journal since 2011, growing and improving with each edition. Turf Management Journal has been published since 1949, and is still an appreciated resource for the industry.